I’m Poker Alice, and I made my living playing poker in Creede in the first half of 1892. The stories I read in the town paper, The Creede Candle, told the real truth about life for boomtown miners of the Wild West. These daring souls came for the boom…in spite of risks of every kind because the rewards were too big to resist. • Two men were killed in Denver recently by cable cars. • A Leadville man was killed over a game of cards last week. • Frank Serboudy was killed at the Mollie Gibson mine at Aspen after falling down the shaft. • Charles Roffer, an old settler in Las Animas County, had both feet frozen a few days ago while going to a neighbor’s. The storm was so great that he got lost. • A young man at Meeker went out one night recently gunning for coyotes. Daylight demonstrated that he had killed four choice steers. • A man was knocked down and robbed by two female footpads in Pueblo a few nights ago. By mid February the camp was without coal and kerosene for several days, owing to the delay in the freights. 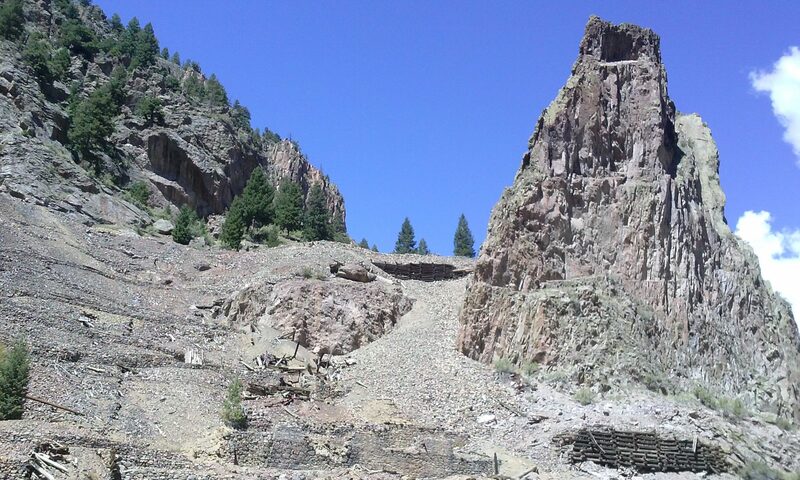 With that kind of growth, things got crazy dangerous in Creede for everybody. In January Mrs. S. Harvey had a narrow escape. She was walking along with her head down going to the post office, when near the Creede hotel she walked under the axe of a man who was cutting wood unconscious of her approach. The head of the axe struck her in the jaw, fracturing the bone. I suppose that’s enough good news/bad news for today. Check in with me next month for more true tales of near escapes and dreadful deeds in the Colorado boomtowns. Groceries, liquor, and cigars—everything Alice and friends might need to survive in a boomtown. This one was in Lake City.